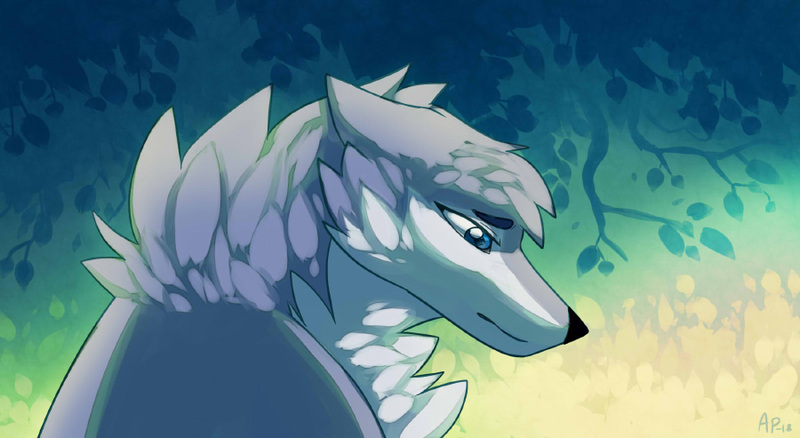 Artist's comment: I wanted to try making a more abstract, subtle foresty background, and ended up making another sad Fladara. That seems to be happening a lot lately. I really like the background here, although that might have something to do with the colors. You might have noticed by now that I'm really into purple-blue-green and blue-green-yellow gradients.